The best way to explore a culture is through its food. In Vietnam food is delicious, exotic and cheap, also trying to sit on a flimsy plastic stool that really should be for age 5 and under is all part of the experience in eating like a local. Vietnamese cuisine has many amazing dishes. 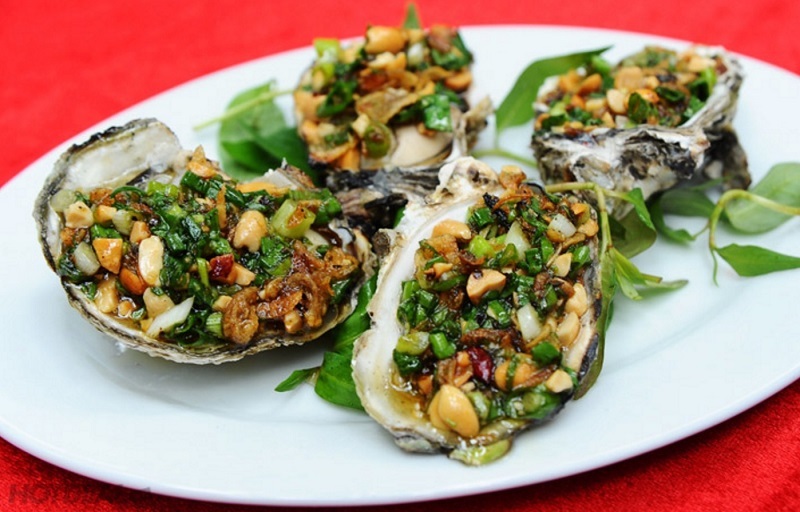 However being a country with a long coastline, Vietnam has absolutely delicious seafood recipes. 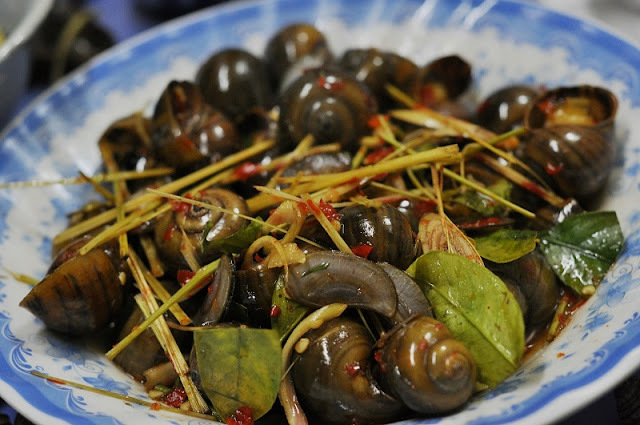 One of the must try seafood dishes in Vietnam is Sea Snails in Spicy Coconut Milk. This dish is exotic for some but in Vietnam it is just a common dish. It has a very rich, creamy flavor. Yes, delicious but quite an effort to eat. Eating tip: the best way to consume this meal is using a fork or a toothpick to take out the content out of the snail. Vietnamese-style Tamarind Crab (cua rang me in Vietnamese) is an incredibly simple, yet absolutely mouth-watering dish. It’s best eaten with the hands and a chilled lager (or three), followed by a hearty serving of French bread. Its flavors are widely appreciated by both locals and visitors. 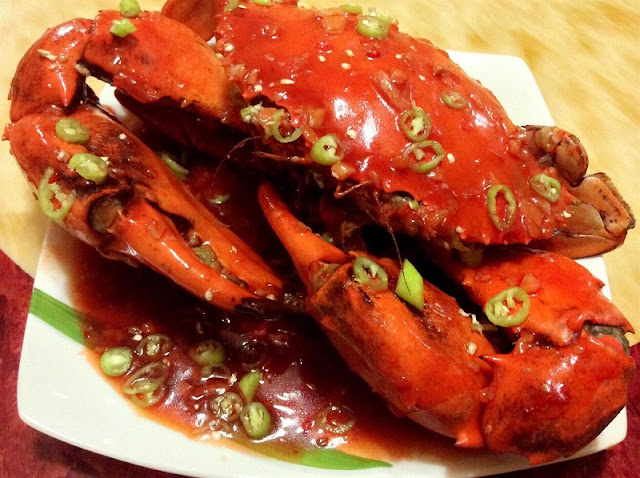 The roughly cracked pieces of crab are stir fried in a sweet and sour tamarind sauce. The sauce is made of tamarind, chili, Thai basil and garlic. Simple yet thoroughly delicious, these Vietnamese Grilled Scallops are full of melt-in-your-mouth goodness. Like heaven on a shell, they’re the perfect appetizer or seafood snack. The ideal lunch by the beach, grill these bad boys with amazing spring onion and peanuts. The scallops and peanut flavor combination will blow your mind. Have you ever tried anything like this before? Any feedback?